Both men and women know the importance of a good hair dryer. Even compared to what was considered the best a few years ago, hair dryers have changed dramatically. From ceramic or ionic technologies, they are now better prepared but most importantly, they can do this with minimum damage to the hair. Of course, the best way to actually dry hair is to let it dry naturally. But this is not always possible. In some cases, it may even come with complications such as colds or headaches. So using a hair dryer becomes a priority the longer the hair gets. With so many technologies to consider, there are not many people who can say for sure which the best hair dryer is. At the time, technologies can also be conflicting as each manufacturer promotes personal products. But regardless of the brand, there are three considerations to abide by. The power of a hairdryer lies in its wattage. Some of the best hairdryers come at an affordable price and which are also made for the home user, rely on motors with a power of around 1.800 watts. Of course, there are other types of products to consider. But on a budget, these hair dryers are more than enough for most users. Ionic technology has made its way into the mainstream hair dryers. The technology is known for breaking down water molecules. This results in faster hair drying. One of the least expected characteristics to consider is the actual weight of the hair dryer. People don’t really think much about its weight until they’ve actually purchased the product. But since it is used frequently, it needs to be easy to maneuver to get the job done as soon as possible without tire hands. In the $50 budget, users can consider some of the most reliable hair dryers made to mimic professional products from saloons. 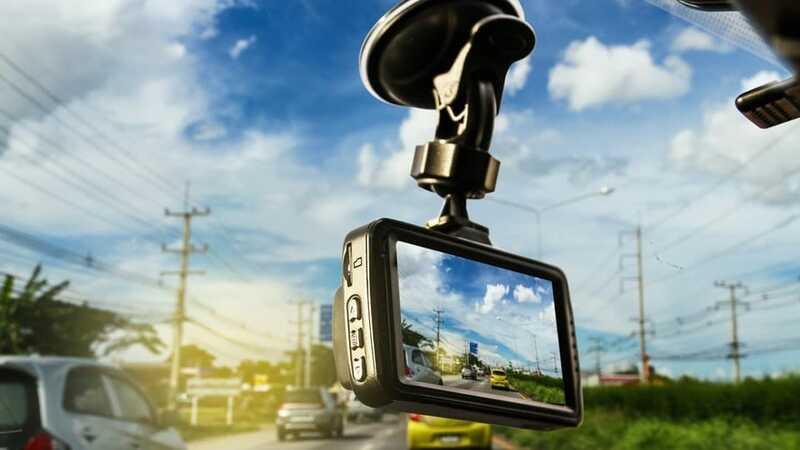 Even with an affordable price, they still offer plenty of reliability. 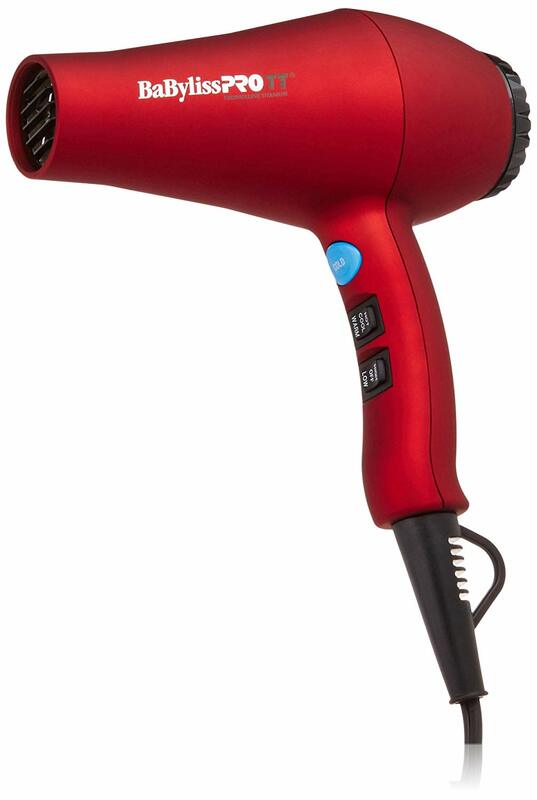 Why we like it: With 1.875 watts and polymer construction, this practical hair dryer comes with a full list of accessories. Made from polymer, the hair dryer comes with a weight of 1.3lbs. Its main purpose is to actually deliver even heat. For this purpose, it does a better job of preserving natural hair oils and moisture. Depleting the hair of these oils can actually cause long-term damage. It is why the hair dryer is actually different from the typical entry-level design. The temperature of the hair dryer can actually be adjusted according to the type of hair or to the user’s preferences. There are three settings users can adjust easily with the switch of a button. Below these preset temperatures, users can also find a professional-like hoop which can save people the headache of storage and everything it comes with. In some conditions, users would also like to have the ability to dry their hair even faster. It is why Andis included a turbo mode. This function allows those who travel or those who need to be ready in minutes to sometimes dry their hair faster. Of course, the product also comes with a range of combs which makes hair styling even easier. The main attraction of the hairdryer is the 1.875 watts drying power. It actually fuses the ionic technology of the product which allows the hair dryer to break down water molecules for faster results. But apart from the ionic technology, the hair dryer also comes with even heat distribution through ceramics. This temperature control is what actually allows the hair to maintain its natural oils. Of course, as any hair dryer, it also has its own limitations. For example, it automatically switches off when it gets too hot to work under safe conditions. Some users find this to be annoying. With a powerful motor and a combination of ionic technology and ceramic heat distribution, the hair dryer does a great job. Why we like it: With ion and infrared technology, the hair dryer offers a balanced return on investment. With a weight of just 1.2lbs, the hairdryer is very easy to use. It is not the smallest product in its class but it can still be easily taken on holidays or short weekends away. It also comes with all the accessories needed for straight or curly hair. They are a diffuser, a concentrator, and a comb. Of course, all of these accessories would be used in different situations. The concentrator is used to create a narrow air flow which works best for straight hair. The diffuser is a popular accessory to add volume to normal hair. The comb is used to straighten hair. The hair dryer also comes with different safety features. A removable air filter is among them. However, these features can be used to prevent hair from being drawn into the duct. It goes without saying that at 1.875 watts, the hairdryer is able to handle most types of hair. At the same time, the manufacturer included two popular technologies in hair drying. These are the ionic and infrared technology. The infrared technology is used as a gentle addition to helping hair dry from inside out with minimal impact. It works well with the ionic technology which locks moisture and prevents hair damage. At a weight of 1.6lbs, it is not the lightest hair dryer. But due to its balanced construction, using it is actually straightforward. The large handle helps as well. Even with a mounted diffuser or comb, it is still very easy to hold. Among other features worth mentioning, the hair dryer also includes a cool air function. This can be used to blast cold air and to lock a certain look. For general hair drying purposes, the product comes with 3 heat settings. As a solid all-in-one solution, the hair dryer is easy to use for most types of hair. It also comes with a set of worthy accessories. Why we like it: At 350 grams, the hair dryer feels like a toy, but it is perfect for added practicality. Designed with a folding handle, the hairdryer is among the options which are often considered for travel. People with limited storage space can consider it as well. It comes as one of the recommended options for those seeking practicality first. At a weight of just 350grams, the hairdryer is among the solutions to be considered when it comes to ease of use. It is very easy to hold and for this reason, people looking for complex hairstyles might consider its lower weight advantage. Even with such a low weight, the hair dryer actually comes with 1.875w. It also has a few different settings. They include 3 heat settings for low, medium, and high. At the same time, the hair dryer also comes with a cold air feature which is perfect to set a certain style in place. Even more, it also has its own advanced features. One of them is the ionic technology. It uses negative ions to dissipate water molecules. It is also important to note that the hair dryer comes with a power cable of 1.7m. This makes it one of the longest cables in the compact hair dryer category. Those without a wall plug in their bathrooms could consider this design with no extension. Another advanced function comes with overheating protection. Even if some users are not enthusiastic about their hair dryer taking a break, this actually allows it to protect its electrical circuits from excessive heat. 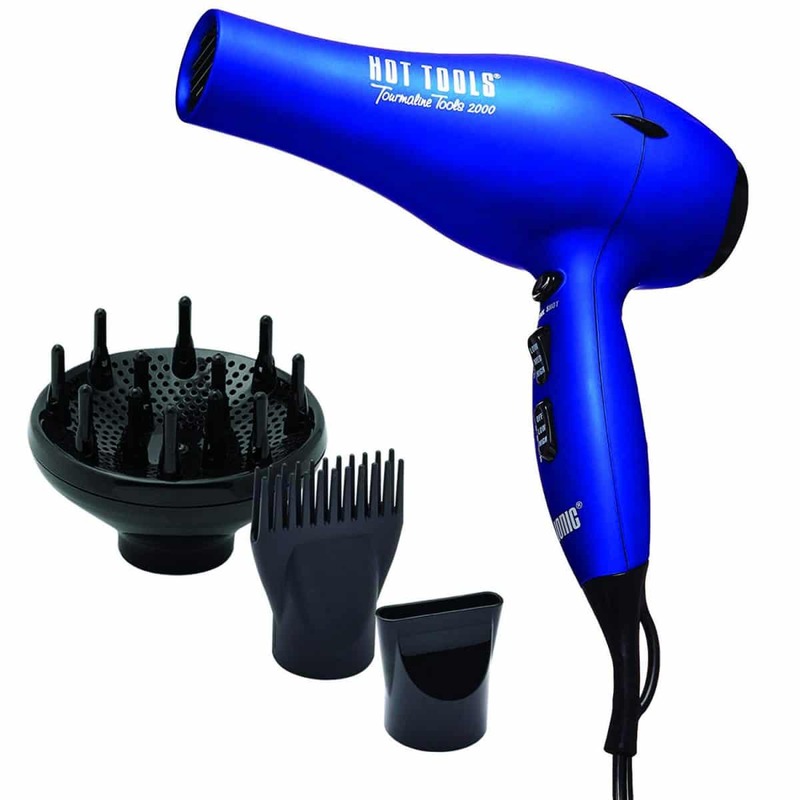 As one of the powerful compact hair dryers, the product is advised for those who need a traveling design. Why we like it: Completed with added accessories, the hairdryer is recommended for its 2-speed features. 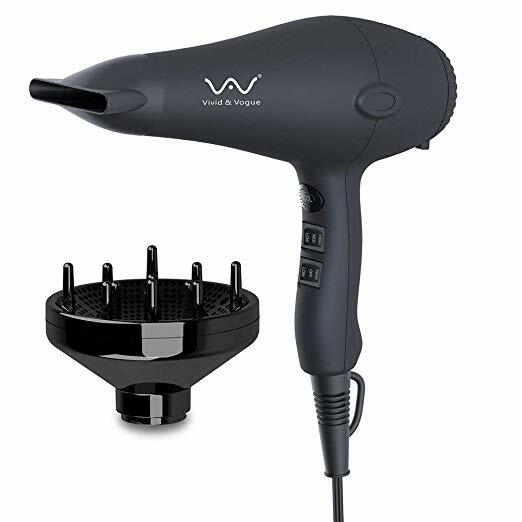 VAV’s hair dryer is among the strongest options for a low price. It comes packed with features and it uses and elegant design. Furthermore, those with long hair will also be happy to know it also comes with useful accessories. These include a diffuser, which plays its part in volume-giving hair drying. But the complex handle of the product also comes with a few extras. These include a cool button which instantly blows cool air. The heat settings are practically included in a single button. Even so, they are available on low, medium and high. But distinctly from other similar products in this price range, the hair dryer also comes with 2-speed operation. It allows it to work to a high standard and to be the base of great looks. Nothing major is sacrificed to include the extra functionalities. The product also comes with infrared drying. It is known for its role in drying the hair from inside out. Even more, it is also advisable to take full advantage of this functionality with all the accessories. However, the price doesn’t allow the hair dryer to be as robust as some other options. For example, if the accessories are often interchanged, they can become lost in time. But since most people never really use all accessories, this might not be an issue of great importance. Those who want to reduce electric footprint can also consider the hair dryer for its negative ion technology. This technology is also considered for its frizz-reduction action. It also makes the hair soft and easy to comb, which is not bad as many hair dryers can actually damage the hair in time. Users are typically satisfied with the hairdryer. However, many of them actually mentioned that its hottest configuration might actually be too hot. It is why the product I mainly used with low or medium temperatures. This lightweight hair dryer comes with ion and infrared technologies. But it is mainly lauded for its speed control. Why we like it: With powerful performance, this affordable hair dryer is recommended for those on a budget. 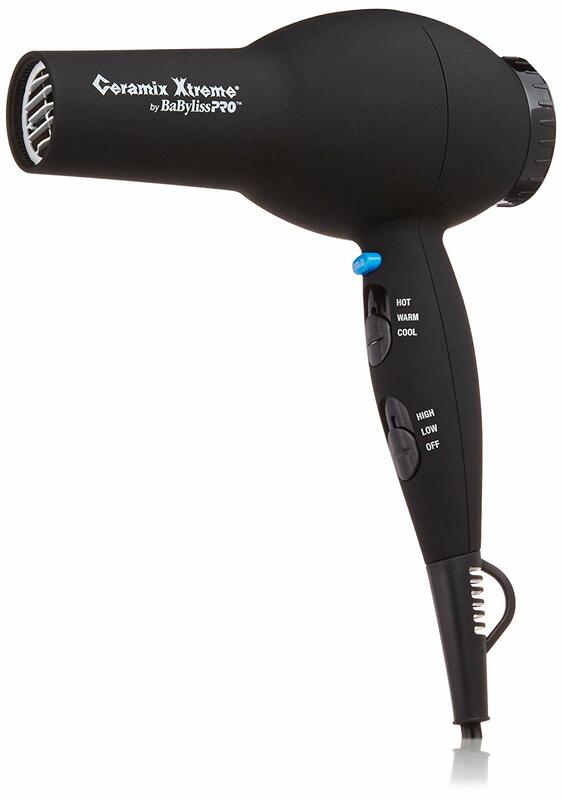 There are not many hair dryers with a 2.000W motor which comes at such an affordable price. This characteristic overlooks all other aspects. However, there is more than pure power users can expect. For example, it is one of the best-looking hairdryers in this price range. It allows those who place an emphasis on aesthetics to also rely on a powerful product. With a glossy look, the hair dryer manages to show some style in the affordable category. Not much can be expected at this price. But even so, BaByliss managed to add everything needed. It comes with heat control buttons on the handlebar. As expected, they are separated into three heat settings. A separate cool air button is added as well, it resembles those of professional hair dryers. With such a powerful performance, the hair dryer is in a league of its own. It might be just the characteristic which can make some users upgrade from lower wattage. This can be the case especially with thick hair which needs that extra bit of strength. Other technologies are considered as well. The hair dryer comes with infrared heat which is great when it comes to ceramic constant heating. It protects the hair from damage. This is actually important, especially at such high wattage. There is a removable air filter on the back of the hairdryer. At the same time, its functionality is completed with a concentrator nozzle. Unfortunately, there is no diffuser nozzle in the pack. However, there are a few limitations to consider. Its plug adaptation was not truly successful. It is why the plug can slightly wobble in a few wall outlets. But for general use, it should work fine. Furthermore, it should bridge the gap between affordability and high power. The hair dryer is strictly recommended for its 2.000-watt hair drying power. Spending a bit more can also come with a better choice in terms of quality. 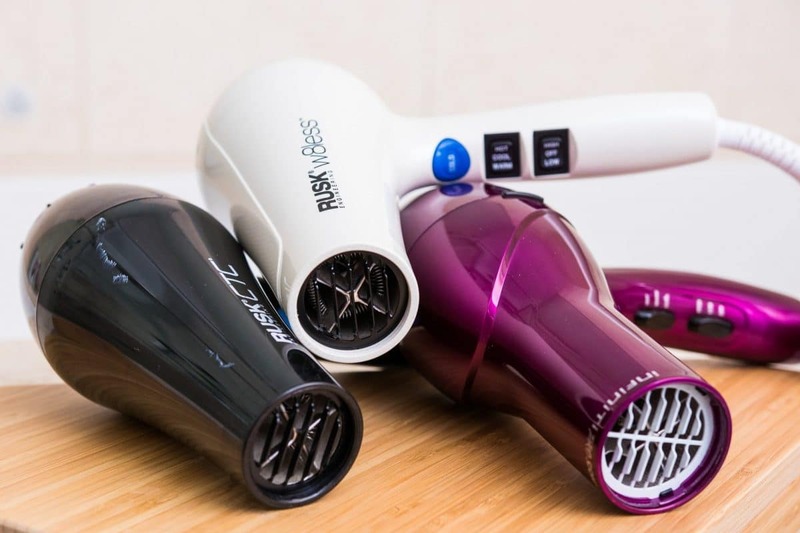 With a bit more power, improved functionality and better durability, the following hair dryers might be worth an upgrade. Why we like it: Offering 6 speed/heat settings, the hairdryer is recommended for multiple looks. One of the distinct design characteristics of the hair dryer comes with its rubberized finish. Unlike many other designs, this actually prevents slips. It works for great grip and it allows users to be more confident with a hairdryer. For this reason, it can also be an inspired first purchase. It is also made to be practical. It comes with two buttons for speed and heat. The third button for cold air is also added. It needs to be pressed constantly when cold blowing is needed. A narrower is also added in the pack. It is one of the accessories which are not particularly useful for all hair types, but it works well for straight hair. With a 1.900W motor, the hairdryer is capable of working at high speeds. It plugs-in as an electrical outlet and it delivers immediate results. 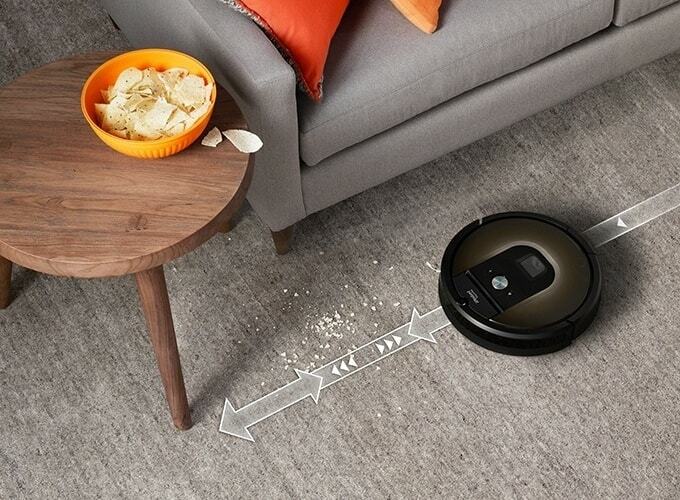 With a power cord which measures 9-feet, it can be used comfortably at home. Of course, it’s interesting characteristics also include Titanium technology. This technology is not new and it actually combines popular technologies. These are the ion and infrared technology. It is why the product emits millions of ions for better hair shine. At the same time, it also catalysts fast drying and easier styling. Both men and women can consider these technologies as useful, especially if a hair dryer is used multiple times per week. Combining popular technologies and a rubberized finish, the hairdryer is perfect when it comes to a balanced performance. Even more, it actually manages to offer a somewhat premium feel for an affordable price. With a distinct rubber finish, the hairdryer is recommended for those seeking maneuverability with high wattage. Why we like it: Based on a brush design, the hair dryer can be used for better styling. 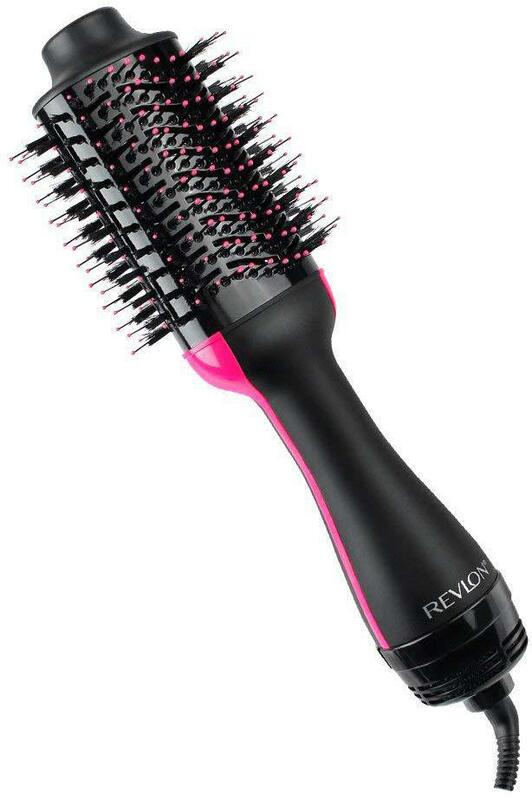 Since hair dryers with brushers are increasingly popular, Revlon offers its own affordable product. It uses a unique oval design. Its round edges are responsible for extra volume. Of course, the bristles of the brush are made to be friendly for all users and this is why they come with medium firmness. The nylon bristles are tufted to offer detangling help as well. While the hairdryer is not particularly powerful, it actually comes with a balanced performance. It combines the power of a basic dryer with the volume-giving effect of a rounded brush. This combination also comes with a rounded handle which makes handling uncomplicated. There is a 1.110W motor powering the hair dryer. But its lower power output is not a bad characteristic. In reality, the design of this hybrid hair dryer actually allows it to be situated closer to the scalp. As a result, less power is needed for the same drying effect. Women who fear that the hair dryer is actually too close to the scalp also need to know that it comes with infrared technology. This is why the drying process begins from the inside and works its way towards the exterior. Most importantly, the hairdryer is designed in a way in which it actually separates hairs into manageable sections. Women with abundant hair will find its design to be the most practical. Made to offer a closer drying experience while separating hairs, the product is a top choice for a hands-on volume look. Why we like it: With a 2.000W drying power, the hairdryer is recommended for BaByliss fans. Made to suit all hair drying needs, the product is powerful and versatile. As expected from BaByliss, it also comes with a modern design. Made to look attractive, the hairdryer is functional as well. Of course, it only comes with a narrowing nozzle, but this should be fine for most women. All of the hair dryer’s buttons are easy to control. They are conveniently located on the handle. There are three preset temperatures to use which are cool, warm, and hot. There are also 2 speeds to be considered for a tailored experience. Most users would agree that its most important features are its sharp motor. 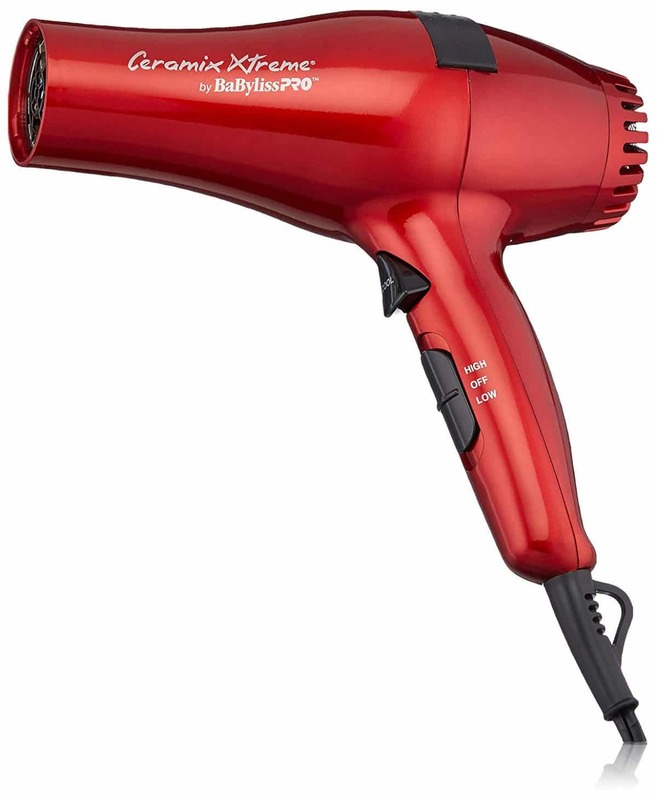 With a drying power of 2.000W, it is one of the strongest affordable hair dryers. Of course, this recommends it for abundant hair or any other hair which needs to be dried out quickly. At the same time, even with this motor, the manufacturer still recommends towel drying first. Of course, the hair dryer also comes with ionic technology. It combines it with ceramic porcelain technology to protect the hair. Its filter is removable as well. When it comes to the shortcoming of the hair dryer, there is not much which could be improved. However, some users would like a few extra presets for either heat of speed. With one of the most powerful motors in its class, the hair dryer has a strong reputation for instant power. Why we like it: The lightweight hair dryer is a top choice for quiet performance. Made to represent the go-to option for quiet performance, this hair dryer is perfect for busy homes. Mums who need to wake up early in the morning or daughters who need to get ready before waking up the entire house will love it. Its quiet performance also recommends it in other busy locations such as student halls. Made with an elegant design, the hair dryer does not disappoint. There are only three main buttons which configure its presets for heat and speed. A separate cool air button is found at the top of the handlebar. This means that it is also easy to access when a style needs to be locked-in. However, its controls are not revolutionary but they do a good job in this price range. Women can also like the fact that it comes with a diffuser, a comb, and a narrower. These accessories save money with additional purchases and make the hair dryer an all-in-one product. 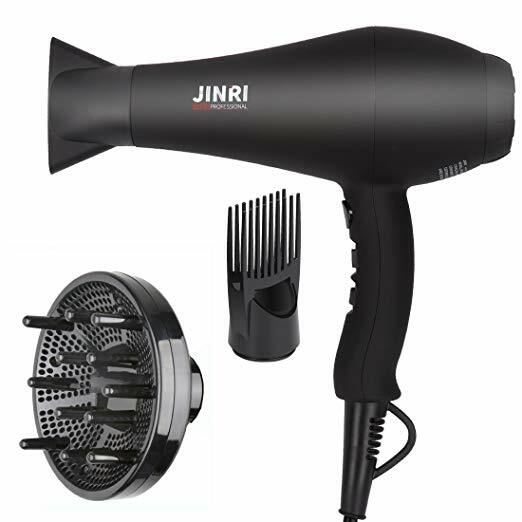 Based on 1.875W, the hair dryer has sufficient power for most types of hair. It has a steady and reliable performance which can mean that it can be used as often as needed. At 110V, it can be plugged anywhere around the home. Although it comes with a short cord of 8 feet, it should still be enough for the average user. 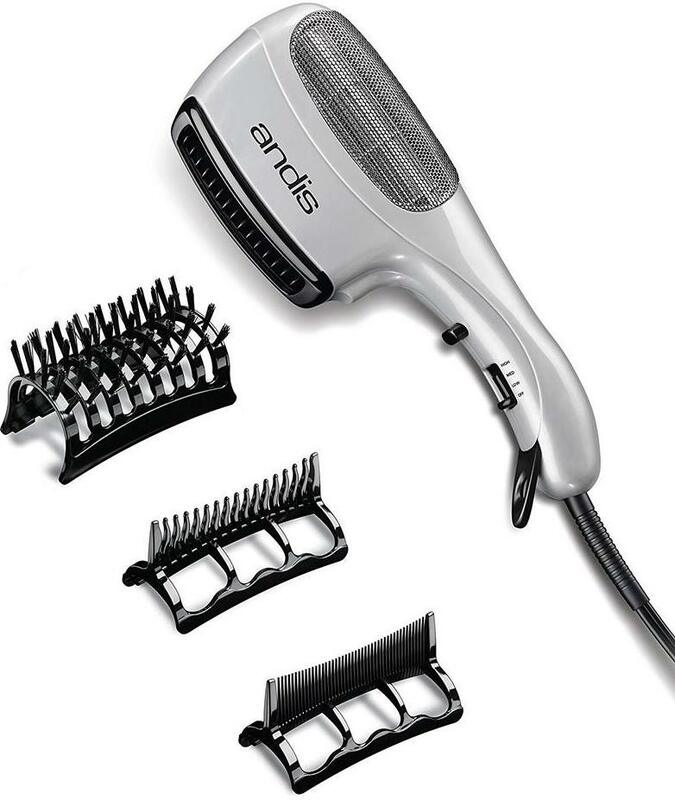 With its lightweight design, it is easy to hold and it also promotes practicality over many other hair dryers. With an experience of over 25 years, Hot Tools has delivered a reliable product. The hair dryer comes with a complete list of accessories making it a powerful and well-equipped purchase. Why we like it: With a few features seen in professional hair dryers, the Nanoe dryer is recommended for its practicality. With a compact size, the hairdryer is among the interesting budget options. Regardless of its target user, it still manages to offer a few professionally-inspired characteristics. One of these design characteristics it the 360 rotating power cord. It allows users to dry their hair from different positions and power source without actually damaging the power cord. With an included hanging loop, it can also be easily stored in any location. With a weight of just 1.2lbs, it is also one of the lightest designs in its class. Together with the power cord-friendly design, its weight recommends it for women who travel a lot and who need the extra durability and versatility. 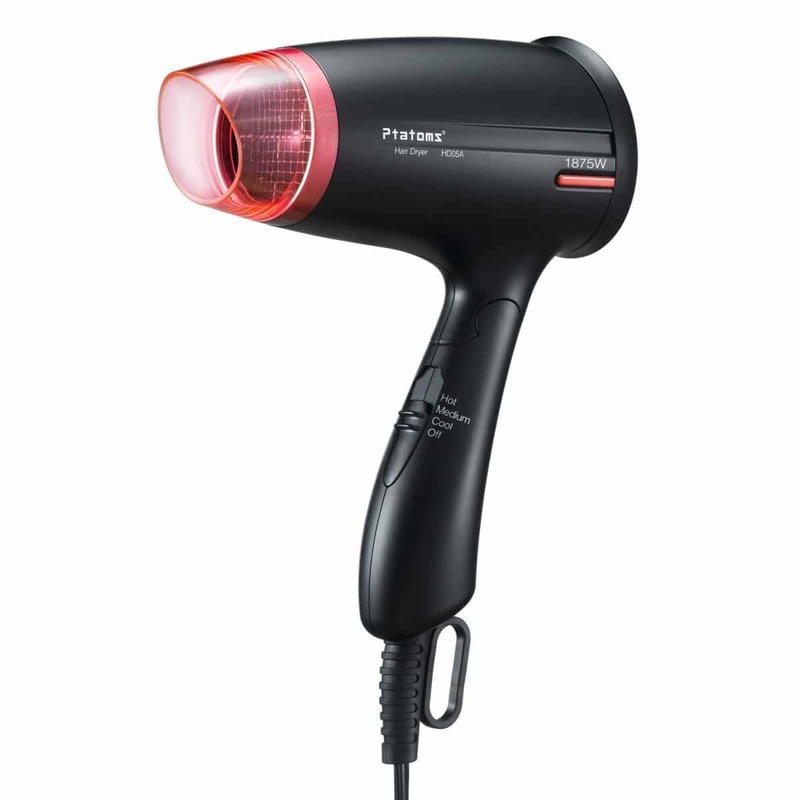 Based on a 1.875W motor, the hair dryer is as capable as its heavier rivals. Panasonic goes to show that even a lightweight design can be reliable for all types of hair. There are two speeds to be considered for normal hair drying. These speeds are used together with solutions such as the heat control presets. From mildly warm, too warm and hot, users can set their own preferences. Cold air can also be shortly applied, especially towards the end of the hair drying process. 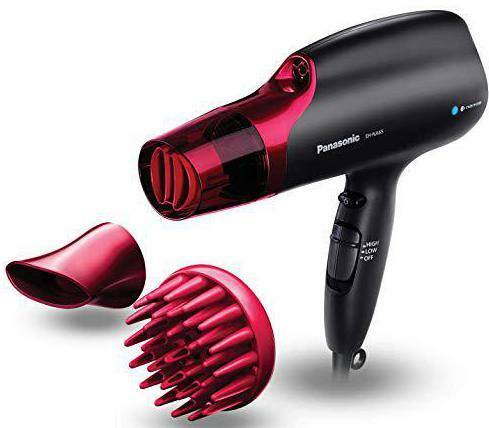 There are many distinct features Panasonic has included with the hairdryer. However, its durability and versatility recommend it for travel due to the 360 rotating power cord. Should I use a hair dryer? Normal hair can be dried with a hair drier. However, plenty of exceptions apply to start with drying frequency to the quality of the used hairdryer. I have abundant hair, is a hairdryer right for me? Those with abundant hair are often recommended to use a hair dryer which dries from the inside with technologies such as infrared or ion hydration. Are hair dryers working on batteries? At the moment, most affordable hair driers only work when connected to a wall’s outlet. I travel a lot, is there a hair drier for me? Traveling options are available. Platoms’ hair dryer comes with a folding handle which makes it easy to fit in the luggage. Do I need ionic technology? Nobody needs any type of hair drier technology. However, the ionic technology it is the top standard for hair protection at the moment. Together with a good care routine and proper nutrition, it considerably reduced the chances of damaged hair from other causes than genetics in time. Can I buy accessories separately? Accessories such as a diffuser or a hair dryer comb can be purchased separately. However, current deals come as more attractive when all of them are purchased in a pack with the hairdryer. Why is my hair dryer getting hot? Most hair driers start to get hot after a few minutes. Unless the actually comes with auto switch-off technology, they should be paused for cooling. This protects their inner-circuits form heat damage. How can I not burn my hair? To avoid burning the hair, the hair dryer should be used at its recommended distance. Temperatures should not be too hot and the entire process should not be too long. Can I have curls using a hair drier? To make curls from straight hair, it is recommended to use a brush-based hair dryer or to use a brush accessory. There are various types of affordable hair driers to consider at the moment. Not all of them are reliable and there is not a lot of information on their durability. However, some of the proven names go to show that great hair driers can be produced at affordable rates. The wattage can be an indicator of what users can expect. From 1.000 watts on the more compact designs to 1.875 or even 2.000 watts, there are a few options to consider. However, wattage alone is not a guarantee for actual quality results. It is the accuracy of the airflow, the heat presets and the advanced technologies which work together with the motor to offer reliable results. This being said, some of the more powerful hair dryers are also more expensive as they cost more to manufacture. Temperature presets should not be overlooked. At least two presets should be present. The best hair driers even come with three presets. It is actually the temperature which can damage some type of hair. Cold air can also be used at times. Since it is not really recommended to use cold air drying for long periods of time, users notice that this preset is actually only activated when the cold air button is held down on most hair driers. As a result, it is recommended to choose the hair drier with most temperature presets. The speed of a hairdryer also needs to be considered during the purchase. At the time, users don’t even need the highest speed. Ideally, the product would come with 3 speeds which should always be user-controlled. Furthermore, there are a few instances where even the best speed control cannot do much if the motor is not powerful enough. It is why the highest speed is so different in output form hair dryer to the hair dryer. Not many people think about hair dryer weight. But some reviews even specify that users appreciate low weight designs after coming from more traditional hair dryers. Upgrading users don’t even know how much control can be gained with a low weight design. Of course, weight on its own doesn’t actually mean much. It has to be balanced according to the hair dryer’s design. This is why it is important to look at how the hair drier acts while in the hand. Even lightweight designs can feel unnatural when too much weight is found in the front. The materials are generally based on plastics. The rare rubberized design can also be seen on a few hair dryers. However, it is also a matter of preference. There are no metal alternatives at an affordable price. The good news is that most plastic cases are actually durable. Of course, they might not survive a drop, but they should work fine in case of no accident use. Some hair dryers come with included accessories. They can be valuable, especially if users go for a certain look. A simple quality diffuser can come as an aid for untangled or curly hair. At the same time, a narrower accessory can add their extra flow for immediate results. Combs are also seen in this price range. They are useful for straight hair. Power cords are usually first to fail. They can get tangled or stepped on. In many cases, power cords are actually quite reliable, especially if paired with a 360 rotation system. However, the power cord’s essential characteristic is the length. From 8 to 12 feet, the options are endless. Those with a power source nearby don’t really need a long power cord. Those who may only have a few power outlets in their home, especially far from the bathroom are recommended to go for a longer alternative. Ion and infrared technologies are now the standards for the best hair driers. They can work independently or together. Their main role is not to deplete the hair of its natural oils, to hydrate it and to protect it. Infrared technology plays its role in drying the hair from inside out. On the long-term, it is believed these technologies can actually aid hair health. Women and men are looking for hair dryers with modern designs. But these designs should also be based on powerful motors and on upgraded technologies. Since they don’t cost too much, there is no reason not to consider an upgrade or even entering the world of hair dryers. Some users might even not be looking to invest considerably in a hair dryer, especially since affordable options also include technologies such as the ceramic infrared. 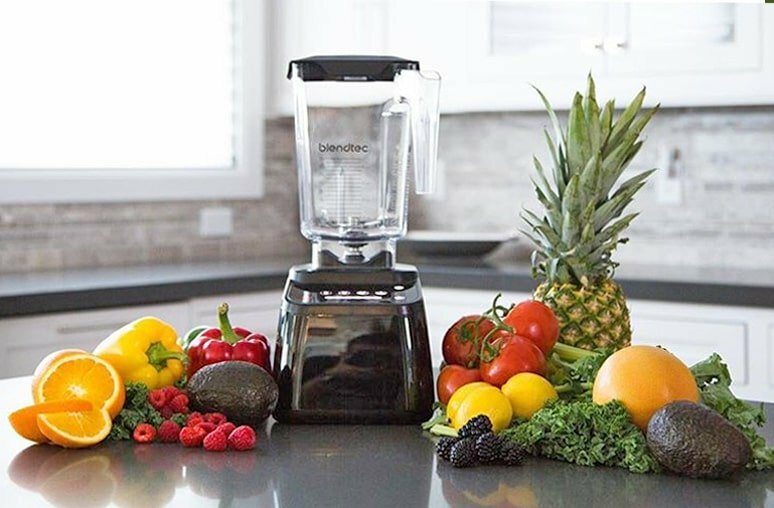 The product is unlike many other electric products. It is rare for someone to upgrade a hairdryer if the technologies are up to date or if there’s no issue with the product. This is why future-proofing the purchase should include choosing a product which comes with all the modern technologies seen on the market. Apart from the financial savings, this also ensures hair is properly protected and not actually damaged by the hair drying process. Many people do not think about its importance until the hair actually starts to look dry, burnt or damaged. Regardless of the chosen hair dryer, users should also feel free to actually choose a solution which can be used as much as needed. Fully reading the product’s instructions is mandatory. Each manufacturer has tailored recommendations and it is a must-do immediately after the purchase. Safety precautions apply to each hair dryer. For safety purposes, it is also recommended to keep or to even use the hair dryer away from water sources or high humidity such as in the bathroom. Users can also consider the best storage options to avoid any physical damage to the hair dryer.